As we welcome in 2019, we want to remind you to take a few moments to reflect on all the experiences that 2018 had to offer. Make a mental note of what experiences were easy, hard, challenging, difficult, and where the most growth occurred. Being able to look back and see how different events or situations in your life were connected can bring clarity. Looking ahead to the new year, we enjoy picking a theme, something to give attention and energy to throughout the year. Dr. Erin knows the theme for 2019; she is bringing two baby girls Earth side this year and their gift is LOVE. One word, LOVE, that is so simple, but means so much! Only divine love can transmute toxic memories to pure energies. Divine love is the only source of inspiration and enlightenment! Did you know that symbols, words, and intentions can have an effect on water? Through his research of water, Japanese scientist Dr. Masaru Emoto revealed how thoughts and vibrations affect the nature of water. Through his work, he discovered that water crystals form the most beautiful shapes when exposed to love and gratitude. Through this, we know that water speaks the language of reflection. We also know that the human body is roughly 70% water. The words you think and speak can have an impact on your health! Dr. Erin has also been drawn to rose quartz. 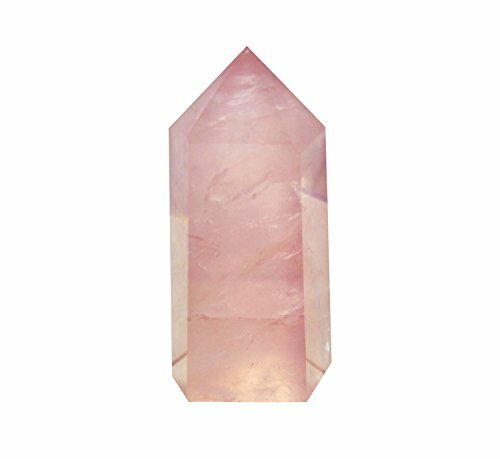 Whenever she is in a crystal shop you can find her revisiting the rose quartz section searching for the perfect stone that speaks to her. It is safe to say that their nursery will be filled with rose quartz! We’ve tagged a few rose quartz goodies we enjoy with our Amazon affiliate links to the left. Although we do get a small payout for purchases made through our affiliate links, we only share products we use and LOVE. LOVE is always around us, you just have to look for it. Stay tuned for more updates on our theme of LOVE for 2019!